You have worked hard to build a successful veterinary practice, and you have a steady stream of loyal clients. However, when it comes time to pay your bills, you never seem to have enough cash on hand. Poor cash flow can hinder a thriving business and, in some cases, lead to major financial burdens. For this reason, cash flow planning is vital. 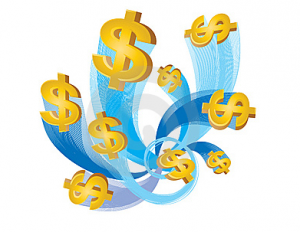 We can help you predict the amount of cash in your business during every financial period. In this way, you can create an accurate budget, pay all bills on time, and reduce the stress of small business ownership. We can also help you improve cash flow, so you will not have to worry about financial strain each month. Contact Reliance Consulting, LLC to learn more about cash flow planning and how it can improve your veterinary practice. A cash flow plan, or cash flow projection, is a strategically calculated document. You and your accountant will consider your regular expenses and income. Then you can determine the average amount of cash that you will have at your disposal at any given time. Typically a cash flow plan will deal with the next 12 months. However, you could also create a projection for a single month or even a single week. Cash flow planning will help you create a budget and arrange a more efficient bill pay cycle. You will also be able to create a cushion for emergencies and unexpected expenses. In addition, an accurate cash flow projection will help you find ways that money might be leaving your practice. For example, you might discover hidden fees with one of your service providers or a client who consistently leaves bills unpaid. It is important to note that a cash flow projection is rarely 100% accurate. However, with precise calculations, your projection will still allow you to plan for the future. To make your projection as accurate as possible, we will follow several basic steps. First, we will write down all cash that you currently have on hand. Unless you dip into this sum, it will carry over month to month. Next, your accountant will add up all incoming cash during a given period. The sum will include customer payments, as well as interest, grants, sponsorships, and related revenue. When projecting income from clients, you should consider the worst case scenario. That way, you will not be caught off guard if business slows down. Additionally, your accountant will enter credit card payments at the time that you are likely to receive them, rather than at the time you render services. We will then estimate your expenses during the same period. These costs will vary, depending on the particular needs of your practice. They could include rent, mortgage, wages, employee benefits, utilities, taxes, interest, supplies, and many other expenses. Finally, we will subtract the total amount of expenses from the total cash available. This sum will show you how much cash you have at your disposal. Although cash flow projection might seem straightforward, it can actually be a complicated process. There are a number of factors to consider. Complex tax and payroll policies can affect your calculations. If there is a mistake in your projection, it can cause serious financial burdens later down the road. Working with an experienced accountant will ensure the most accurate cash flow planning. The CPAs at Reliance Consulting, LLC have helped hundreds of Tampa-area businesses achieve greater financial success. We understand the intricacies of cash flow planning, and we can develop a precise projection for your business. Additionally, after calculating your cash flow, we can help you make the best use of these projections. Our accountants will help you create a budget, perform buying vs. leasing analyses, and more. With these services, we can help your practice achieve its full potential. Thanks to cash flow planning, you can look to the future with confidence. Schedule an appointment with one of our accountants today. Reliance Consulting, LLC proudly serves business owners in Tampa, St. Petersburg, Clearwater, Sarasota, Pasco, Lakeland, and the greater Tampa Bay area.